Amazon is offering the Aukey 10-Port USB Hub with Quick Chare 3.0 for just $32 when you use promo code AUKEYTEN at checkout. 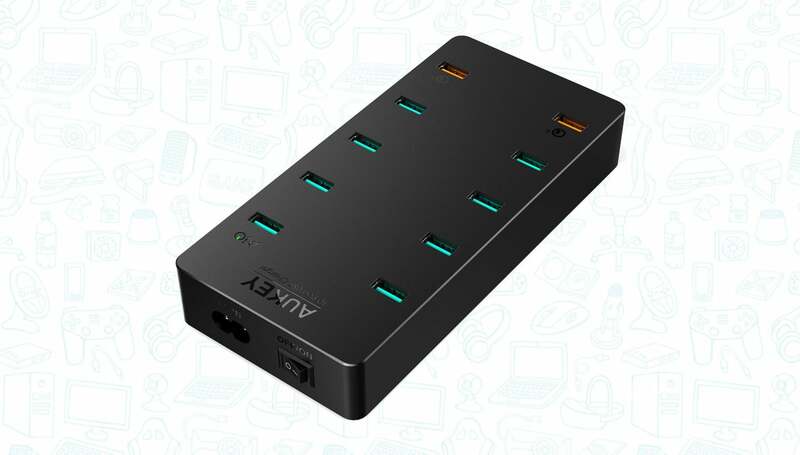 You can never have enough USB ports, and if you’re someone who needs more than just a few, you’d be hard pressed to find something clean looking as this 10-port USB hub from Aukey. It has a detachable power cord and an on/off switch. Two convenient things that, again, a lot of USB hubs don’t have. Just be sure to use the promo code AUKEYTEN at checkout to get the full discount.